When Punisher assigns to attack, knock out one target opposing character. Your opponent may prevent this effect by paying 2 life. 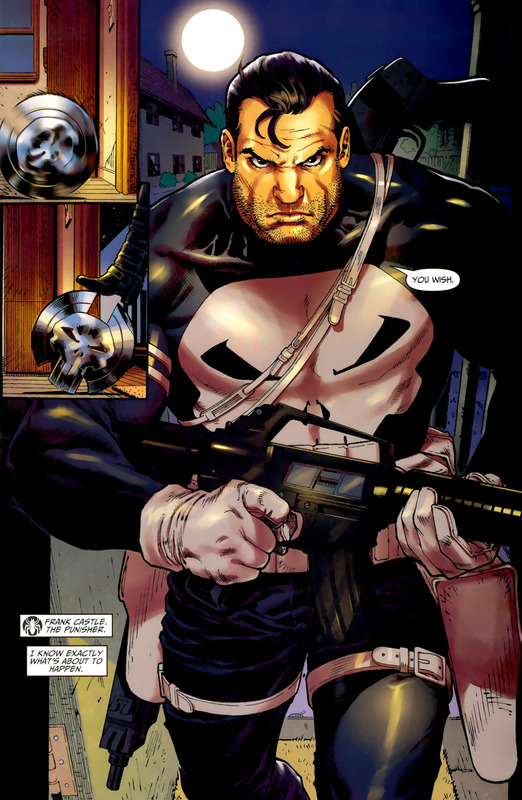 Punisher requires the opposing player to pay life to circumvent his effect. This 2 life is considered a cost and not the equivalent of taking damage. As a result, character effects that depend upon the opposing player taking damage would not trigger (e.g., Hulk: Green Goliath). ^ The Amazing Spider-Man Presents: Anti-Venom - New Ways To Live Vol 2012 #1 Page 18. www.readcomics.tv. Retrieved 20 October 2016.